Cochran, Stephanson & Donkvoet, Inc. 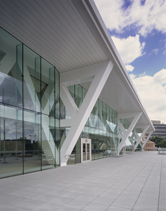 The Baltimore Convention Center is located in the Inner Harbor area of Baltimore, and boasts fully equipped, state-of-the-art, green meeting and convention spaces. This project features Metalwërks Omniplate 1500 Fascia, along with Metalwërks Column and Beam Enclosures. 44,000 total sq. 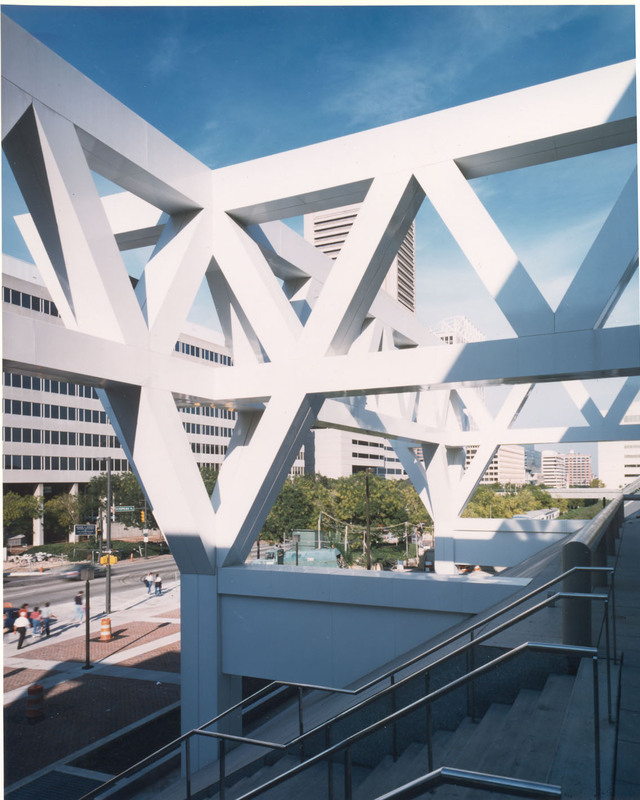 ft. of .125 aluminum beam and truss cladding and ornamental fascia were installed around 4 square blocks at the building perimeter. 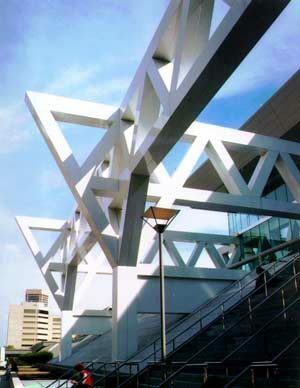 The cladding features are located along the main concourse as tapered buttresses, supporting the main roof overhang as well as a complex series of intersecting flying trusses at the main entrance. 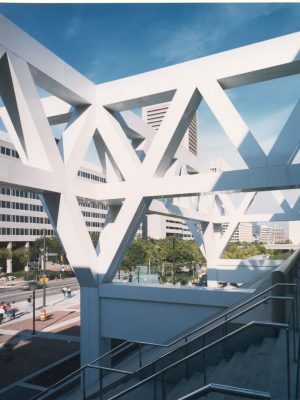 All products used a Tiger Drylac series Polyester Powder coating 2-3 mils thick for high performance in the urban environment against abrasion from pedestrian activity and chemical resistance from urban pollutants.